The annual meeting of the Poplar and Willow Council of Canada (PWCC) for 2016 was held in Regina, Saskatchewan from July 19th to 20th. The two-day meeting was hosted by Agriculture and Agri-Food Canada (AAFC) and smoothly organized by PWCC Chair Raju Soolanayakanahally and Bill Schroeder, with the help of Laura Poppy and Tricia Ward. There were 12 participants from six Canadian Provinces. The first day saw the presentation of eight technical presentations at the Alvin Hamilton Building in Regina. These oral and poster presentations were around the theme of the meeting, which was 'Exploiting poplar and willow genetics for environmental applications'. The day concluded with the annual business meeting of the Council and a group dinner at a downtown Regina restaurant. 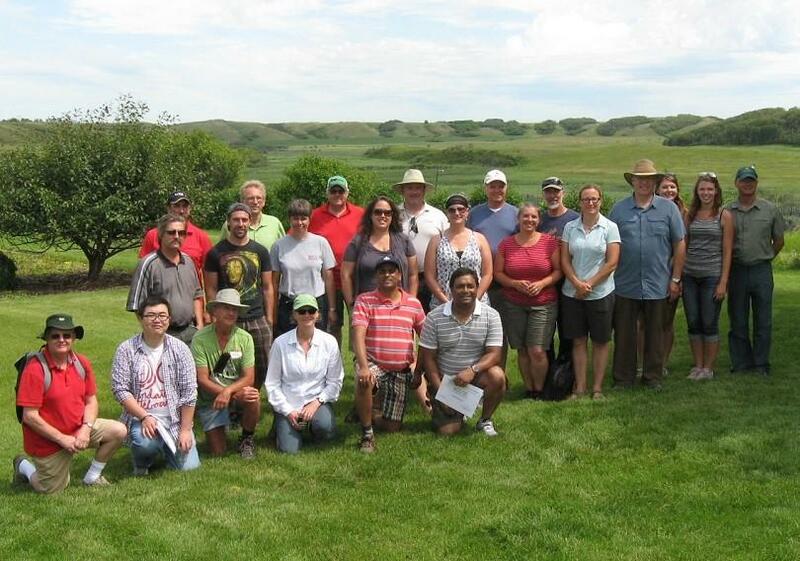 On the second day, participants travelled to Indian Head for a tour of field sites on and near the Agriculture & Agri-Food Canada Indian Head Research Farm. Sites visited included a tree improvement seed orchard, common gardens for balsam poplar and native willow, a wetland willow management study and an agroforestry alley cropping study. Participants enjoyed an outdoor pizza lunch at The Grazing Goose farm. Among the participants were the 2016 winners of the PWCC-University of British Columbia Student Travel Awards: Md Shayeb Shahariar of the University of Saskatchewan and Yue (Bobby) Yu of the University of Alberta. Both these graduate students made technical presentations based on their work. 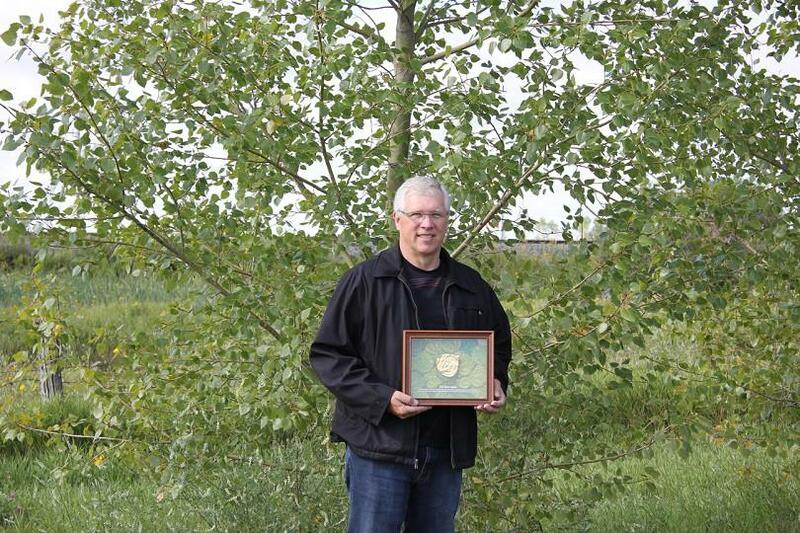 The first of a new series of PWCC awards - the 'Poplar Gold Leaf' - were presented to Bill Schroeder of AAFC and Pierre Périnet of the Ministère des Forêts, de la Faune et des Parcs of Quebec for their lifetime contributions to poplar and willow breeding. During the Council's annual business meeting, Bill Schroeder was elected to serve as Vice-Chair West, replacing Cees van Oosten who has stepped down from that position. The meeting also confirmed that the 2017 annual meeting will be held in conjunction with the conference of the North American Forest Ecology Workshop in Edmonton in mid-June. A photo gallery, a more extended illustrated article about the 2016 PWCC gathering and copies of the technical presentations are available on this website.